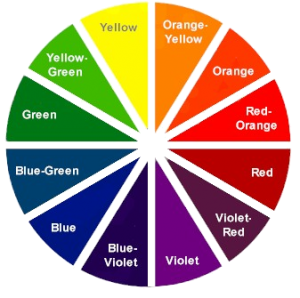 The color wheel depicts 12 different colors. Complimentary colors are the ones exactly opposite each other, for example green and red. One combination I like is what is called accented analogic: 3 colors next to each other plus the complimentary of the middle color. 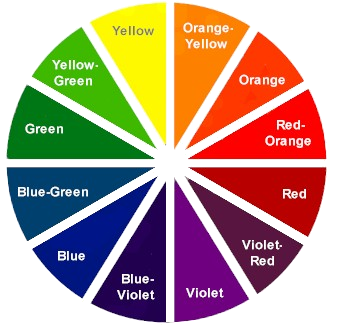 For example, purple, purple-red, red and the opposite of the middle color (purple-red) which is yellow-green.